Tilt-shift refers to the use in photography of tilting for selective focus to recreate a miniature picture. Although the original term refers to in-camera technique, the same effect is often simulated with digital postprocessing. The tilt-shift style has lately enjoyed greater popularity with the large diffusion of digital photography that is frequently associated with digital postprocessing of the photos. Mobile photographers, Apple iPhone ones in particular, won’t have difficulties finding tools helping them to generate the fake miniature feel of actual tilt-shift photography directly on their phone with the best approximation possible for a simulation. Possibility to share the photos via Twitter and email. 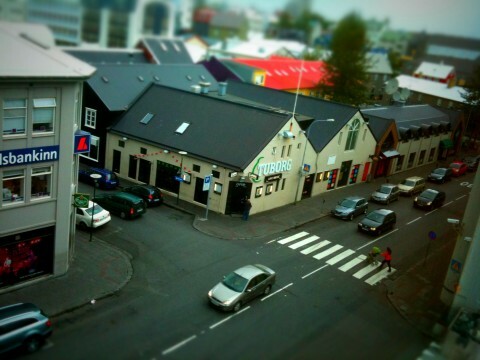 Originally released as a free web service and AIR app, TiltShift Generator is one of the available applications that helps the user to accomplish the fake miniature look, and it’s probably the best so far. The user can take a photo or load a previously taken picture from the camera roll. Selecting the appropriate degree and type of blur and adjusting parameters as brightness, contrast and saturation is very easy. The vignetting adds the final touch to the effectiveness of the illusion. An in-app tutorial will also provide some useful tips to obtain better fake miniature photos. Art & Mobile once again delivers an app that lets the iPhone photographer achieve the desired result in the easiest and most practical way possible. This is my fav app! Excellent results!